While Wusthof definitely keeps edge better than Mercer knives, Mercers are hard to beat when it comes to price and ergonomics. 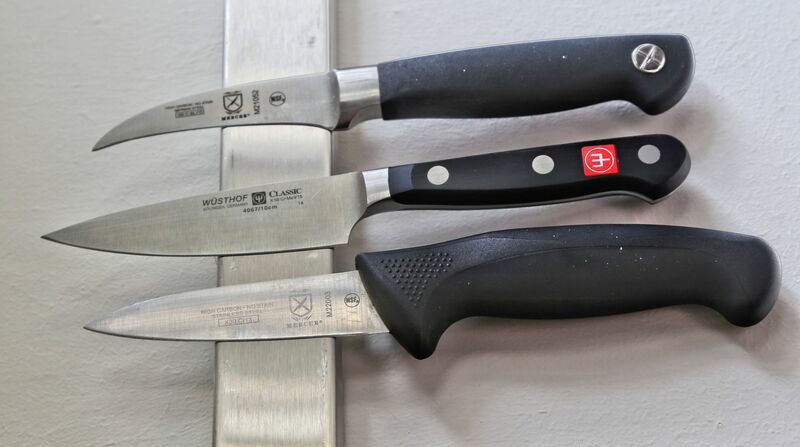 Wusthof Classic 4″ Extra Wide Paring Knife proved to be a disappointment – too short handle, flimsy thin flat blade, not worth the $50 price tag. For a mere $8 Mercer Culinary Millenia M22003 3-1/2-Inch Paring Knife offers much better value, the grip is very comfortable.